Kea has been a fiefdom of the Athenians for decades, being hard to reach from the old airport; but from the new one it’s a doddle. 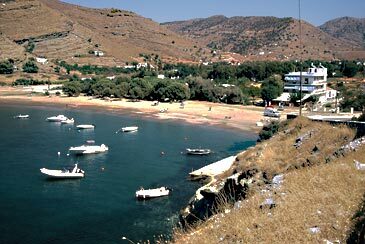 The unassuming port of Korissia is lined with tavernas and restaurants and, beyond it, there is an excellent sandy beach. A road winds round to a nice eucalyptus-shaded beach at Gialiskari and then on to sleepy Otzias, with tavernas backing a sheltered sandy bay. The island’s main road climbs inland to Ioulis, the chora, a gem of a town but with nowhere to stay; but don’t miss the 6th c. BC granite lion carved out of the bare rock just outside the town. 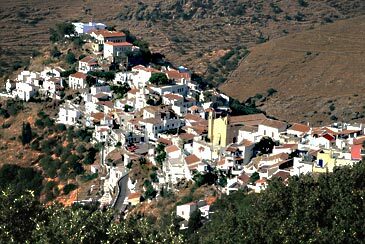 There is excellent walking on the island, one popular destination being Karthea in the SE where there are classical remains. The only event in Kea’s history since the 6th c. BC is the sinking of the Britannic (sister ship of the Titanic) just off the island’s NW tip and now a wreck hosting groups of marine archaeologists. What development there is lies along the southern half of the west coast, where Koundouros has become a fashionable place for wealthy Athenians to build smart holiday homes in local stone, some in the form of pastiche windmills. 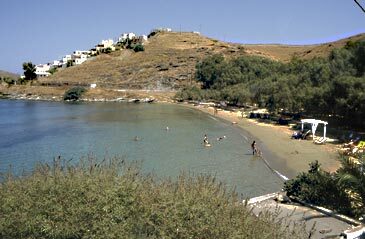 On your way to the south you pass the small settlement of Pisses, with an extensive sandy beach and then a few coves including Kastellakia. The gateway airport is Athens. 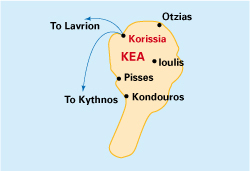 For Kea head south to nearby Lavrion – it is not served from Piraeus; take the bus or hire your car, drive to Lavrion, drive on to the ferry and off at the first stop, Kea. 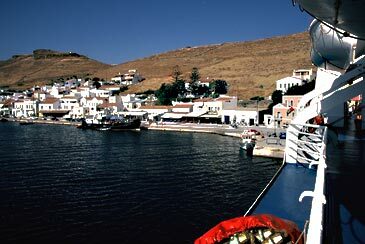 This western chain of Cycladic isles has always been very popular with the Greeks themselves, with most tourists traditionally limiting themselves to Sifnos, the largest, though Serifos is slowing catching up. 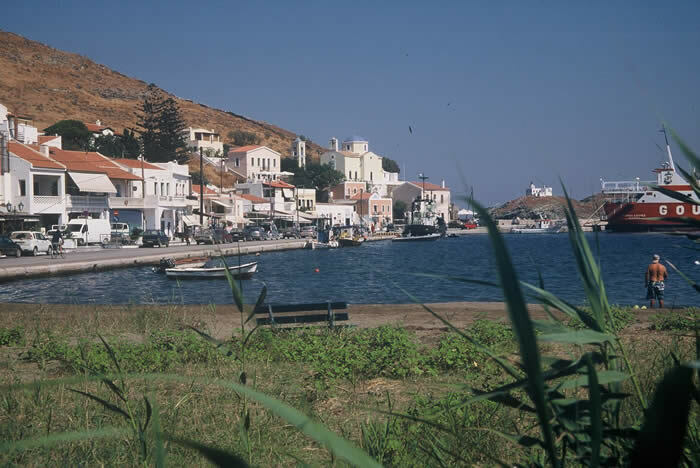 Kea and Kythnos are, in our view, conspicuously under-rated and should be on every Greek island enthusiast’s list. We are trying to do our bit! It is curious that this group, the nearest to the mainland and amongst the easiest and quickest to reach, should have remained less visited than their better known neighbours to the east. A modest establishment a brief stroll from the harbour and town beach. Takis has been refurbishing the rooms and they represent good value. There’s a patio for socialising by the front door and many rooms have spacious balconies. Cat E. Air-con, fridge, TV. B&B or S/C 2-3 pers. 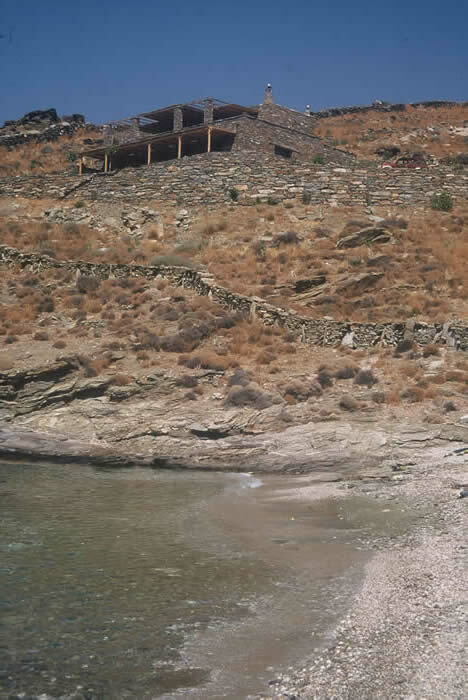 Newly-built stone villas with wrap-round terraces overlooking the sunset and a virtually private cove just south of Pisses and a 20 minute drive from the port. The Greek/American owners have spared no money or effort to make these luxuriously comfortable. Everything works and the décor is utterly tasteful. 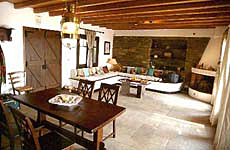 Villa Phil sleeps 4-6; Villa Maria (lower floor of same house) sleeps 4-5 whilst Villa Thymari, set about 50m back, also sleeps 4-5.